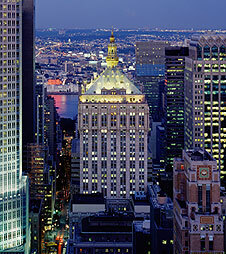 The firm of Otterbourg Steindler & Houston was founded in New York City in 1909 by Edwin M. Otterbourg, a trial and appellate lawyer; Emanuel Steindler, a real estate and trusts and estates lawyer; and Charles A. Houston, who focused on contracts and other business matters. The firm rose to prominence by representing major textile companies, and participated in numerous insolvency cases that arose in the textile industry at that time. Ed Otterbourg, who served as president of the New York County Lawyers’ Association, had a particular interest in legal ethics. This gave the firm bearing his name a high professional standing with the courts and the Bar, and created an emphasis on integrity that remains a guiding principle of the firm today. The firm continued to grow steadily over the next thirty years, with particular expertise in the areas of litigation, factoring, commercial finance, securities, trusts and estates and bankruptcy. In the late 1960’s, major banks began to purchase the factors and finance companies that had been the firm’s strongest clients, resulting in a tremendous acceleration in its representation of financial institutions - still a major part of the firm’s practice. In the firm’s litigation practice, experience in commercial arbitration and other forms of alternative dispute resolution - heavily used in the textile industry due to the technical nature of disputes - stood it in good stead in the 1970s, when major financial institutions entered this arena. Another watershed event, the adoption of the 1978 Bankruptcy Code, allowed the firm to expand its bankruptcy practice, then headed by Conrad B. Duberstein, who later became Chief Judge of the United States Bankruptcy Court for the Eastern District of New York and in whose memory the new Courthouse has been named. By the early 1980s, Otterbourg had evolved into a financial services specialist, advising leading financial institutions on a wide range of matters including complex lending transactions and the restructuring of lending arrangements. Indeed, we were one of the first law firms to create a corporate restructure department. To meet its clients’ needs, the firm strengthened its capabilities in real estate workouts and in dealing with fraud in business transactions. As the number of cross-border lending transactions, litigations and insolvencies increased, Otterbourg created a network of legal practitioners around the world so that our clients could select the best practitioners in any country to work on their transactions and cases. Throughout its existence, the firm has been known for its integrity, business acumen, and unwavering commitment to client service. As Otterbourg moves into its second century, we continue to build on this foundation to meet our clients’ changing needs.